Hi guys! I have some very exciting news – I finished Lorali and I have finally started reading Thirteen Reasons Why! My plan is to watch the show when I’ve finished it and join in with the hype. I’m only a chapter (or a tape) in at the moment…but I’m actually already having mixed feelings about it. Of course, my opinion might change as I progress, and I’m trying to keep an open mind! Anyway, onto today’s quote. As we had a lovely day in England yesterday, I’m hyped for summer. 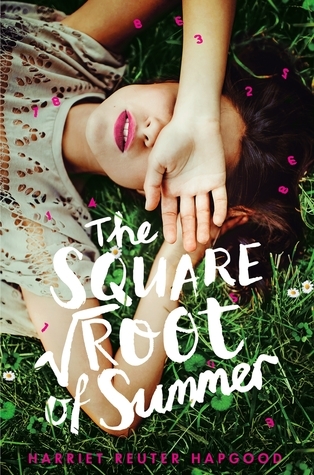 So what could possibly suit this day more than The Square Root of Summer? We have to wait for the cake. We could have baked it much earlier. But we did it like this, because some secrets are easier to tell in the dark.